Watch the video for “Ogre”, the first song to be shared from Peasant, here. No listener to Richard Dawson’s earlier music has ever discerned a lack of artistic ambition. Whether they got on at the last stop – the 4 track Tyneside-Trout-Mask-through a-Vic and Bob-filter of Nothing Important – or earlier in the journey, with The Glass Trunk’s visceral song cycle or The Magic Bridge’s sombre revels, devotees of his earlier recordings will be at once intrigued by and slightly fearful of the prospect of a record that could make those three landmark releases look like formative work. Peasant is that album. From its first beguilingly muted fanfare to its spectacular climax exploring a Dark Ages masseuse’s dangerous fascination with a mysterious artefact called the Pin of Quib, it will grab newcomers to Dawson’s work by the scruff of the neck and refuse to let them go until they have signed a pledge of life-long allegiance. Driven forward by exhilarating guitar flurries, Qawwali handclaps and bursts of choral ferocity, Peasant’s eleven tracks sustain a momentum worthy of the lyrics’ urgent subject matter. Dawson describes the themes of these songs as “Families struggling, families being broken up by circumstance, and – how do you keep it together? In the face of all of these horrors that life, or some system of life, is throwing at you?” The fact that these meticulously wrought narratives all unfold in the pre-mediaeval North Eastern kingdom of Bryneich – “any time from about 450AD to 780AD, after the withdrawal of the Roman Empire”- only makes their contemporary relevance more enduring and vital. Dawson’s objective was to create “A panorama of a society which is at odds with itself and has great sickness in it, and perhaps doesn’t take responsibility – blame going in all the wrong directions”. But encountering Peasant’s captivating sequence of occupational archetypes (‘Herald’, ‘Ogre’, ‘Weaver’, Scientist’), listeners might find themselves wondering if these multitudes could somehow be contained with one person – surely we all have a ‘Shapeshifter’ and a ‘Prostitute’ within us? 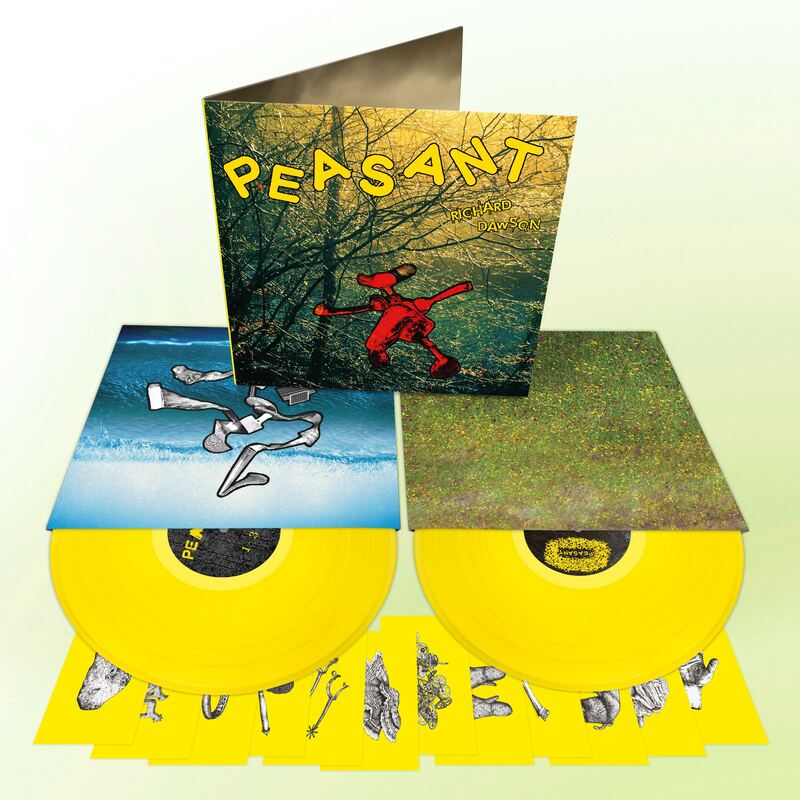 Peasant will be released on CD (WEIRD087CD), LP (WEIRD087LP), Deluxe LP (WEIRD087LPX) and digitally (WEIRD087D). The deluxe LP comes on 2 x heavyweight yellow vinyl and includes a limited edition 11 piece illustrated postcard set. 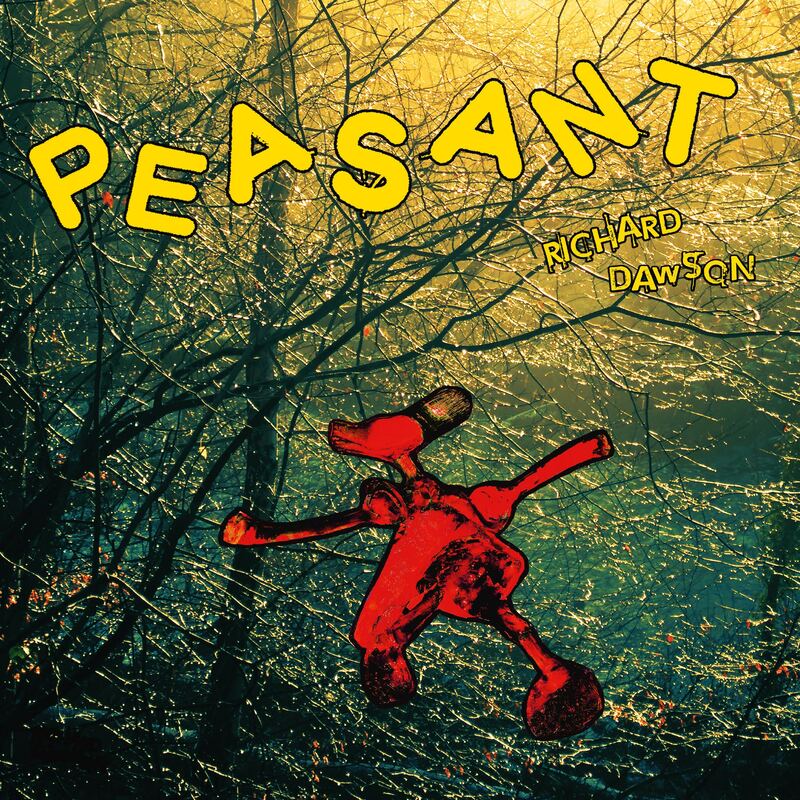 Dawson will support the release of Peasant with a full UK tour – his first featuring a full live band. Alongside the headline dates include spots at the Supersonic and Green Man festivals. Joining Dawson will be long-time collaborators harpist Rhodri Davies, violinist Angharad Davies plus Johnny Hedley and Matt Baty of Pigs Pigs Pigs Pigs Pigs Pigs Pigs.